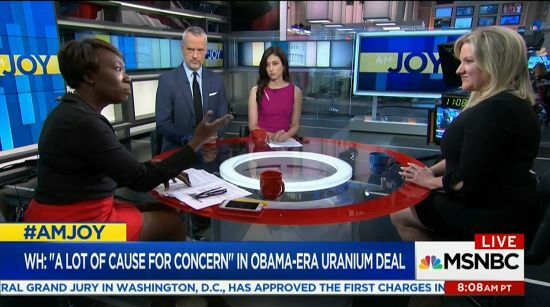 MSNBC's JoyAnn Reid showcases all the levels of fake news of the Uranium One story. Instead of trying to impress the usual both sides jokers, check this Journalism 101 lesson from JoyAnn Reid. Check out her kill the story in under 2 minutes. If you are not watching AMJoy Weekend mornings - set your DVRs accordingly!